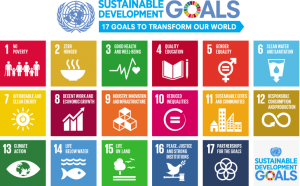 The Sustainable Development Goals: a learning process for private sector, local authorities, the youth and Librarians in the country. 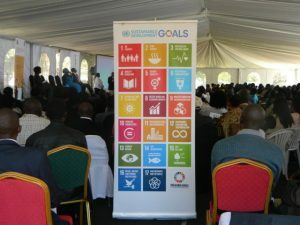 The United Nations Youth Association of Zambia, Chingola Chapter organized a series of discussions on the SDGs with focus on Goal 11 Make cities and human settlements inclusive, safe, resilient and sustainable in Chingola, while the other was organized through the Library Association of Zambia (LIAZ). These discussions took place from June 18 through July 21, 2016 at Icon Hotel in Chingola and Fatmols Executive Lodge in Ndola respectively. The first discussion had youths from different backgrounds in attendance, including students at tertiary level and those in both formal and informal business. During this session they were given a general overview of the SDGs and specific information on goal 11 and its impact on the city of Chingola was given by Charles Nonde, Team Assistant UNIC Lusaka. Mr, Zulu, Director of Planning at the Chingola City Council, shared some insight in the practical things that the council is doing in realizing SDG 11. He said that the council has partnered with UNEP and will be constructing an energy efficient and sustainable building in the centre of Chingola that will act as a show piece and example for promoting modern day buildings that are also sustainable. He also explained that the council was in the process of obtaining solar street lights and have them installed in various locations of the city as a way of averting the current power deficit being faced countrywide. Mr. Sakala a private sector ICT entrepreneur who runs an entity called Net Innovation Enterprise in Chingola gave a presentation on how they are incorporating the SDGs as part of their operating strategy and promoting good sustainable business practices. The Library Association of Zambia (LIAZ) holds its annual general conference in July, this year it was from 19th to 21st July 2016, and extended an invitation to the centre to present on the SDGs and how Librarians and other information professionals can help achieve them through their various channels. 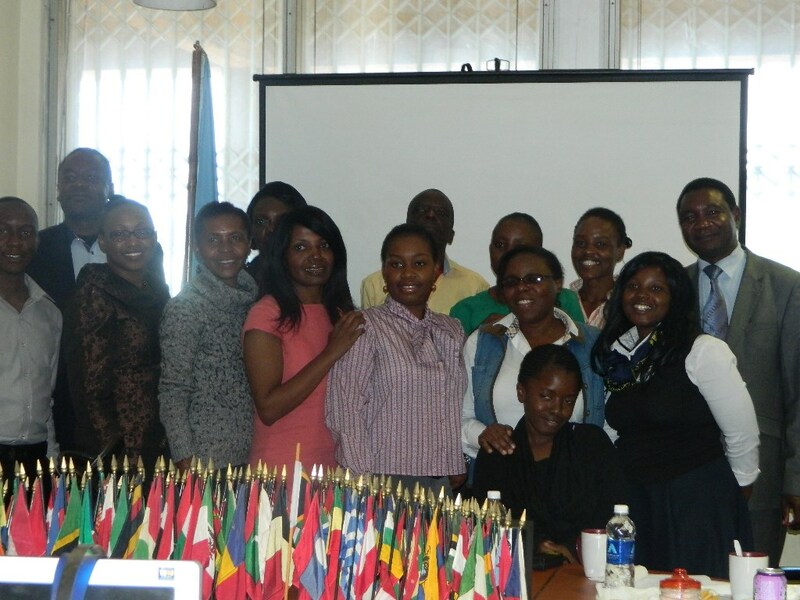 A presentation was done by Charles Nonde, Team Assistant together with the LIAZ President Mrs. Velenasi Munsanje. The conference with attended by 80 librarians from different institutions countrywide, encompassing academic and professional bodies. Information professionals were reminded that libraries make an important contribution to development, it was also highlighted that economic development can be broadened so that it now involves not only the reduction in poverty, inequality and unemployment but also to an improvement in the quality of life which includes a cleaner environment, better education, good health and nutrition. In our knowledge society, libraries provide access and opportunity for all. Libraries guarantee access to information, a cross-cutting target that supports all SDGs said the LIAZ President. While SDGs are universal goals, each country is responsible for developing and implementing national strategies in order to achieve them. The relevance of libraries and other specialized units is key to creating awareness and promoting the SDGs by aligning themselves to the specifics of the SDGs. This entry was posted in Latest news and tagged Libraries, partnerships, SDGs, Youth, Zambia on August 17, 2016 by Charles Nonde. 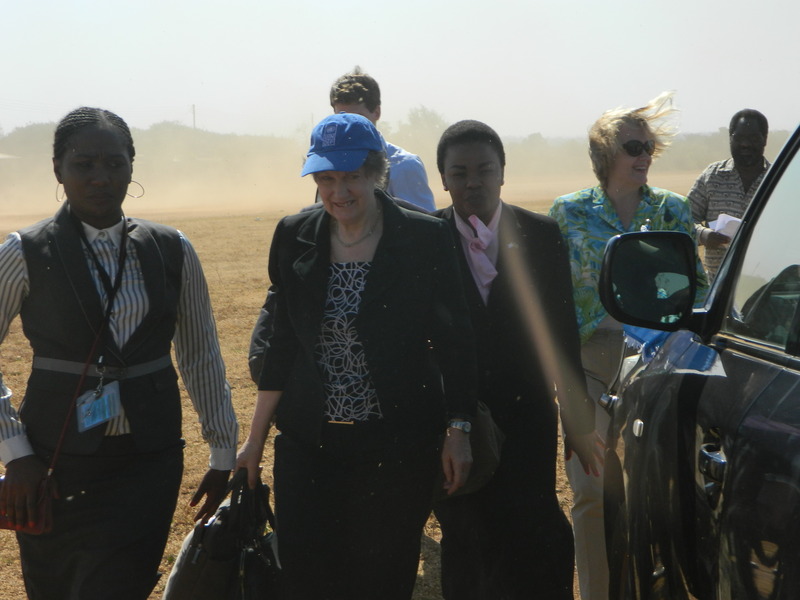 The UN Resident Coordinator in Zambia, Ms. Janet Rogan undertook a one-week tour of the Copperbelt from June 27 to June 30, 2016. During this time, she visited a number of private sector entities in the mining industry at small to large scale from Lufwanyama to Chililabombwe in order to better understand their business models and the various partnerships if any that exist and how they fit into the development agenda of the country and the SDGs. She also visited one of the largest beef producing farms in the country Zambeef located in Mpongwe district, Copperbelt. After the visits in Ndola, the mission went to Mpongwe and visited the Mpongwe Agriculture Development Corporation being managed by Zambeef Zambia limited. During the visit, the team was met by Ms. Brenda Lombard who is the Commercial manager. Ms. Lombard gave an outline of the operations of Zambeef and its expansion program in the chicken production unit, where it has plans to supply an average of 300,000 chicks every week. The expansion will create at least 3000 jobs for the locals and ready market for maize for the small scale farmers in and around Mpongwe, as Zambeef would require an average 30,000 tons of maize for stock feed production on a monthly basis. The mission also visited one of the clinics and school that Zambeef supports. At the school the Ms. Rogan took time to engage with the pupils and discussed the role of the UN in development activities. She encouraged the girl child on the importance of getting an education with the message “school first and babies later”. She also shared the information with the pupils the work of the UN and this was appreciated as there was little knowledge on the subject matter. At the clinic she was given a tour of the facility and the services they provide including provision of ART and management of medical waste. On medical waste management the mission engaged the health staff to explore modern and efficient technologies of waste management that do not only contribute to environmental protection but also mitigate climate change such as autoclave. 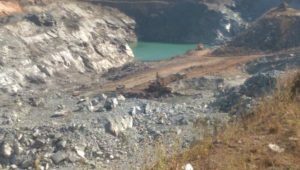 While in Lufwanyama The RC’s entourage visited two small scale emerald mining sites (one operational, the other not) and a large scale mine owned and operated by Gemcanton. i. The first site visited is owned by Ms. Violet Lewis and at the time of the visit, no mining activities were ongoing as it was flooded which is one of the challenges faced by small mining operations. The flooding occurs due to lack of equipment for pumping water. ii. The second site visited was at Dabwisa Small Scale Mining Operation owned and managed by Mr. Malan Ngwira, a retired teacher. Despite being small scale, the local investor has mobilized heavy duty machinery to help in the mining of the emeralds. It was also observed that the work force had the appropriate protective gear to enable them work in the hazardous environment. company’s mining chains. Local staff are being recruited to work as sorters, welders, miners and machine operators. After a period of 6 months, the recruited staff are awarded certificates which will enable them to get employed in any mine. The company is also supporting adult evening classes for those who want to learn English. From the time the company took over the operations of the mine in 2015, they have managed to increase the workforce from 300 to 700. The team was then taken on a tour of the mining operations on site that included the open pit mine, the washer and sorting areas. Gemcanton Management also reaffirmed its commitment to support other mining operations in the area and exploring possible partnerships with small scale miners especially in helping to negotiate better prices as they have global links with key players in the sector. They requested the UN to continue supporting the policy framework that would enable them to operate effectively. The issue of electricity supply was cited as a key challenge that the sector is facing. Furthermore, there is need for government to develop infrastructure such as roads to support the sector. 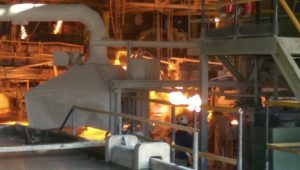 After meeting management at the headquarters of KCM, the team was taken on a tour of the underground mining operations in Chililabombwe and operations at Nchanga, Chingola and shown the process of how the copper anodes are produced. Private Sector dialogue at Mukuba hotel, the RC delivered a speech at this forum and also gave an exclusive interview to the media houses present on the side lines of the dialogue. Among the issues she spoke on included the referendum, the bill of rights and its meaning to the people of Zambia. The purpose of this visit was to showcase some of the women who have not only benefitted from housing units but also skills that they have obtained in assembling solar panels and installing them. The women’s group also makes its own bricks which it uses to construct houses in the area. Of the 150 plots given 100 of them have fully constructed units or are in various stages of completion. Ms. Bupe the coordinator of the Federation explained that the financial support that the women received for raw materials was in the form of a loan that acted as revolving fund to help those in need of assistance. One of the women took the team around her house and explained how she was able to design and install an electrical system for the solar panel, she also explained that she earns some extra income from the skills she obtained in assembling and installing solar systems within the neighborhood and beyond. RC congratulated the women for commitment and advised them to transform the initiative into a business. 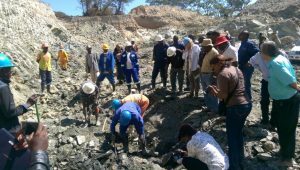 This entry was posted in Latest news and tagged Copperbelt, development, Economy, Konkola Copper Mines, partnerships, SDGs, Small Scale Miners, UN, Zambia on August 16, 2016 by Charles Nonde. GENEVA / LUSAKA (28 April 2016) – “There are good opportunities to achieve the realisation of rights of persons with disabilities in Zambia,” today said United Nations Special Rapporteur Catalina Devandas, while urging the Government to fully implement a number of well-formulated and well-intended policies and strategies. 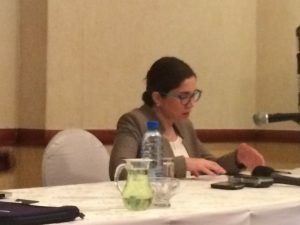 Ms. Catalina Devandas-Aguilar Special Rapporteur on the rights of persons with disabilities during a press briefing at Southern Sun Hotel, Lusaka. Photo credit UNIC Lusaka April 28, 2016. 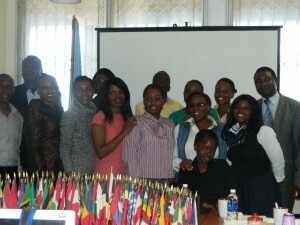 “Zambia has the potential to become a disability champion in the African region, provided that the Government makes it a priority to implement the policy and legal framework on disability,” Ms. Devandas said at the end of her first official visit* to the country to assess the level of enjoyment of the rights of persons with disabilities. 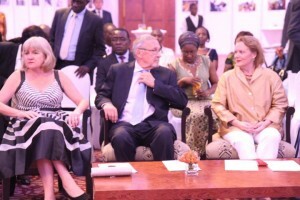 The UN expert highlighted numerous initiatives by the Zambian authorities to improve the protection framework for persons with disabilities, including the strengthening of the Zambia Agency for Persons with Disabilities, the production of a National Disability Survey, and the significant efforts undertaken to make its social protection framework inclusive of persons with disabilities. In that regard, she encouraged the Government to continue advancing in the areas of accessibility, education, health, and employment, through the adoption of the necessary measures required to ensure the implementation and enforcement of the Persons with Disabilities Act and other relevant policies. On the other hand, the Special Rapporteur also identified urgent challenges to be addressed, such as the stark disparities between rural and urban areas in relation to accessibility and availability of services. In addition, Ms. Devandas highlighted the situation of persons with albinism, who live in constant fear of being attacked and killed for their body parts, and urged the authorities to protect women and girls with disabilities, who are at heightened risk of sexual and gender-based violence. The human rights expert also drew attention that the situation of persons with psychosocial or intellectual disabilities is of particular concern: “Deprivation of liberty on the basis of disability remains an accepted practice in Zambia,” she said pointing at the widespread assumption that persons with psychosocial or intellectual impairments have no legal capacity due to the lack of ‘mental capacities’. 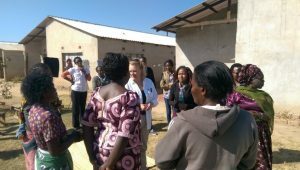 During her stay, the Special Rapporteur visited the Chainama Hills Hospital in Lusaka and the psychiatric unit of the General Hospital in Ndola. 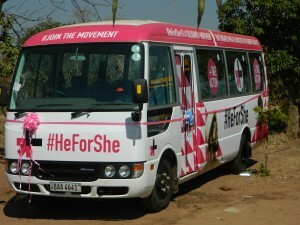 “I was particularly appalled by the conditions of the psychiatric unit in Ndola, where persons with psychosocial disabilities are deprived of their liberty without their informed consent, are subjected to seclusion and forced treatment, including forced sterilization of women with disabilities,” she explained. 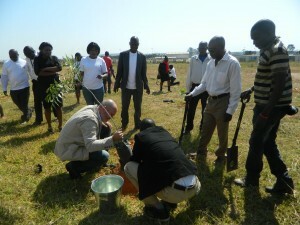 The UN Special Rapporteur visited the cities of Lusaka and Ndola, where she met with a variety of senior Government officials, and held discussions with persons with disabilities and their representative organizations, other civil society actors, the UN system, and international cooperation actors. The UN Special Rapporteur will present a report to the Human Rights Council in 2017 on the main findings of her visit. 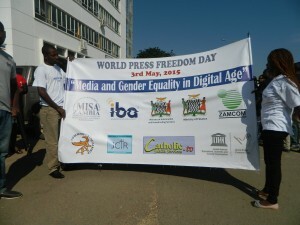 This entry was posted in Latest news and tagged Lusaka, Persons with disabilities, Special Rapportuer, UN, Zambia on April 28, 2016 by Charles Nonde. Every year on May 29 member states of the United Nations gather to pay tribute to heroes and heroines who have served and continue to serve in the United Nations Peacekeeping Operations for their level of professionalism, dedication and courage as they put the lives of others before theirs. It is also a time to remember and reflect on those who have lost their in the course of peace. 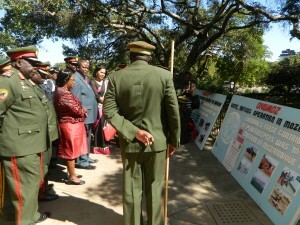 The Deputy Minister in the Ministry of Lands, Natural Resources and Environmental Protection Mr. Davis Mwango who was also the Guest of Honour in his speech urged all the defense personnel to remain focused and committed in maintaining the country’s peace. He emphasized that peace is valuable and can only be achieved at a cost which unfortunately includes human life. He reiterated that Zambia is a member of the international community and will remain committed to peacekeeping operations. Representing the UN was Ms. Raki Sahi, the UN Zambia Security Advisor read the UN Secretary Generals Speech on his behalf and was quoted as follows “This year’s International Day of UN Peacekeepers falls during the 70th anniversary of the United Nations, offering a chance to honor the invaluable contribution of the Blue Helmets to the proud history of the Organization. United Nations peacekeeping has given life to the UN Charter’s aim “to unite our strength to maintain international peace and security”. Through years of struggle and sacrifice, the iconic Blue Helmet has earned its place as a symbol of hope to millions of people living in war-ravaged lands”. Furthermore she stated that Zambia has played an exemplary role in promoting and protecting peace. Zambia has accepted many thousands of men, women and children fleeing their own countries in fear of their lives. Thus, giving them a safe haven and protection within the country. Zambians have also generously gone far beyond its own borders in the service of peace Zambian military, police and civilian experts have served, and are serving this very day, in many peacekeeping missions around the world. She also reminded the gathering that The United Nations in June 2014 honoured two fallen Zambian peacekeepers with the Dag Hammarskjöld medal for their gallantly. Major Alfred Richard Banda and Chief Inspector Ebert Sianyona died last year while serving with the United Nations-African Union Hybrid Operation in Darfur (UNAMID). Furthermore, in July 2014 another Zambian working under the International Organization for Migration Mr. Felix Ngoma, was abducted by suspected Janjaweed militia in Sudan and was later released after 21 days in detention describing it as the most horrible time of his life. 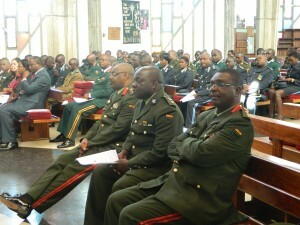 In the sermon given by the Army Chaplain, Lt. Col. Reverend H.B. Moma on the theme for 2015, said peacemakers must rekindle their zeal for peaceful societies through creativity, ingenuity and entrepreneurship. Praying for the country’s leadership because their decisions have great impact on citizens as well as setting an example as a community for peace. 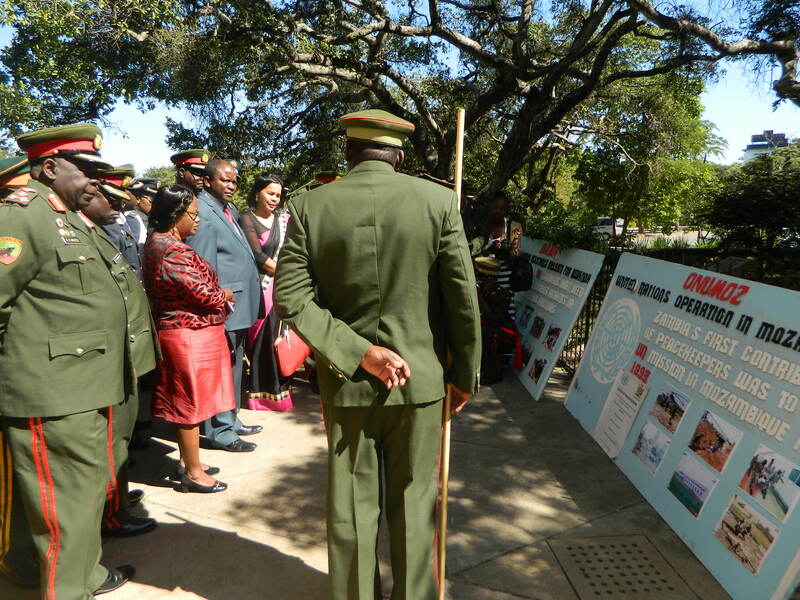 After the service the invited guests were taken on a tour showcasing the different places were Zambia has served and is still serving in Peacekeeping Operations. 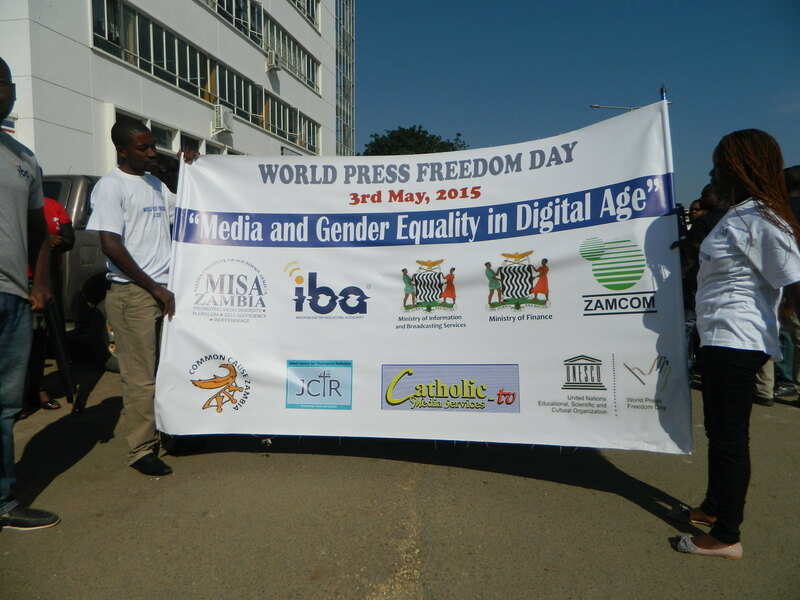 This entry was posted in Latest news and tagged International community, Peacekeepers Day, UN, Zambia on June 19, 2015 by Charles Nonde. Chipata Compound, November 19, Lusaka-Every year on World Toilet Day and beyond, countries worldwide participate in the EOD and bring attention to other sanitary issues in places where there are no toilets or sanitary infrastructure to use and people end up using the surrounding environment as an alternative. All these can be prevented if the practice of open defecation is stopped through the availability of toilets and other sanitary amenities. Some children reading on the mural signed by others. with the target of ending the practice by 2025. 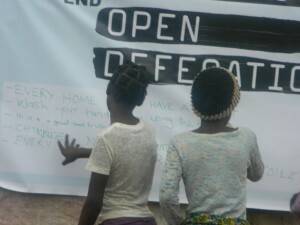 Zambia is one of many countries in the developing world still grappling with the practice of open defecation in both rural and in high density areas in the cities. Preventable diseases like cholera among others have become perennial due to unhealthy sanitary practices. However, hope is not lost as the practice of open defecation in communities is slowly being conquered through the support of UNICEF in collaboration with various water utility companies, the Ministry of Local Government and Housing in building toilets in various communities meant to improve the quality of life and reversing the mentioned impacts of open defecation. Some areas that have moved in a positive direction to end open defecation include Choma, Mkushi, Namwala, Monze and other areas in the country. In Lusaka in some high density areas, the water utility company Lusaka Water and Sewerage Company is rehabilitating the water reticulation system and UNICEF is supporting the building of toilets and water collection points in the community. 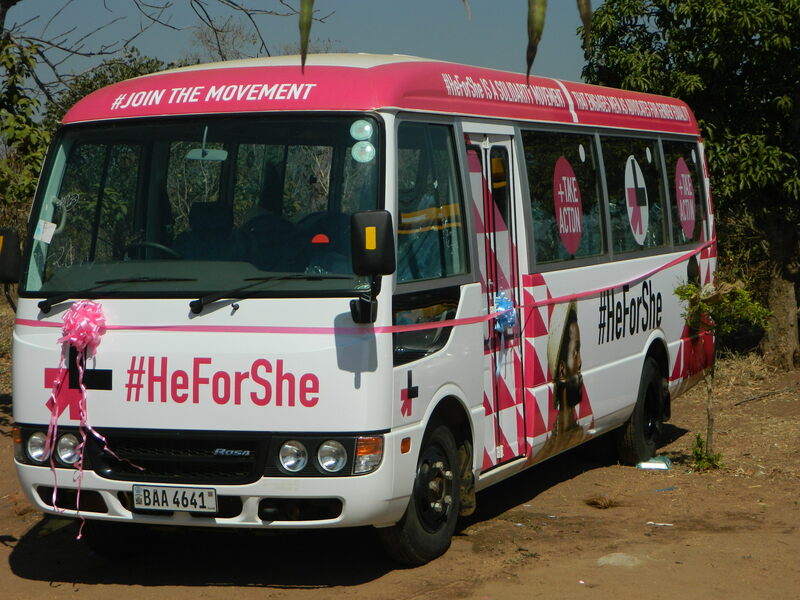 On November 19 in Chipata Compound an awareness campaign took place. Drama was the mode of outreach used, the community was taught on the importance and benefits of having a toilet as opposed to using the surroundings sending a clear message that open defecation was a detrimental practice to the general well-being of the people and community. In random interviews conducted in the community, the people stated that a toilet was a must in any household and brought dignity to its users and encouraged healthy life styles. It also ensured that the environment was kept clean. One area of Chipata compound was a beneficiary to the sanitary facilities built for them and have confirmed that even outbreaks of water borne diseases has drastically reduced. This entry was posted in Latest news and tagged government, Toilet day, UN, UNICEF, water borne disease, Zambia on December 2, 2014 by Charles Nonde.